Aircraft systems, airworthiness, aerodynamics, loading, performance, airspace, airports, air traffic control, safety of flight, aviation weather, federal aviation regulations, aeronautical information manual, flight physiology, navigation planning, avionics, flight physiology, navigation planning. The ground training is done in conjunction with the flight training segment of the course to reinforce the ground school concepts with actual flying experience. The student is required to complete a ground school final exam prior to any solo flights. The flight training is normally conducted in the Cessna 172 aircraft although other aircraft models are available for primary training. 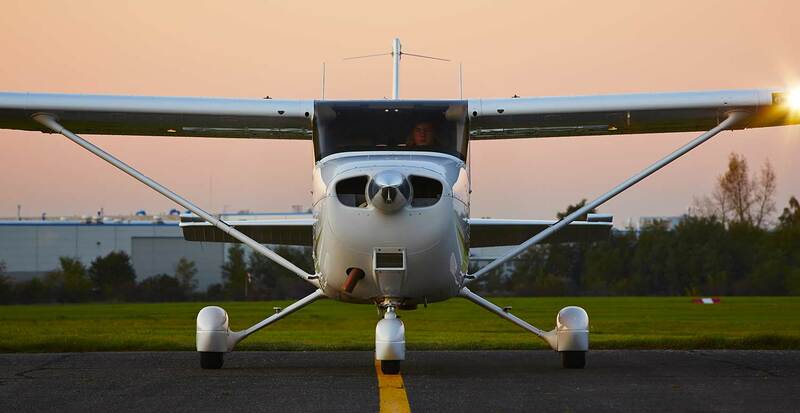 The student must successfully complete all flight training maneuvers outlined in the FAA practical test standards before the final evaluation for the Private Pilot Certificate. Systems Integration Training correlates aircraft systems training with light aircraft normal, abnormal, and emergency procedures and checklists. Students become familiar with the cockpit layout, checklists, and AFTC procedures prior to and during flight training. Detailed descriptions are available that outline flight and instructor time and course costs. Contact AFTC for more information. Be able to read, speak, write, and understand English. Hold at least a third class medical.